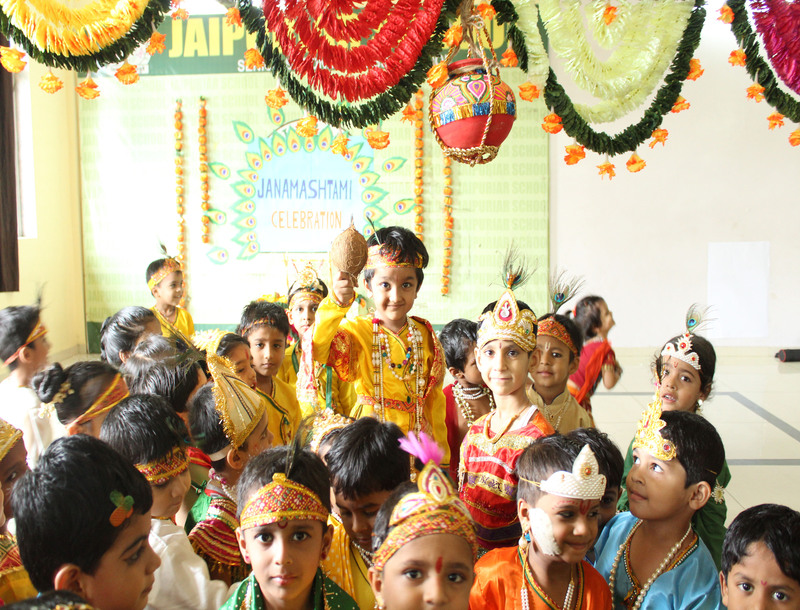 Janmashtami was celebrated on 31ST August 2018, in Jaipuriar School, Sanpada. The festival commemorates the earthly appearance of Krishna, who is described in India’s sacred writings as God himself. One of the biggest religious festival in the world. 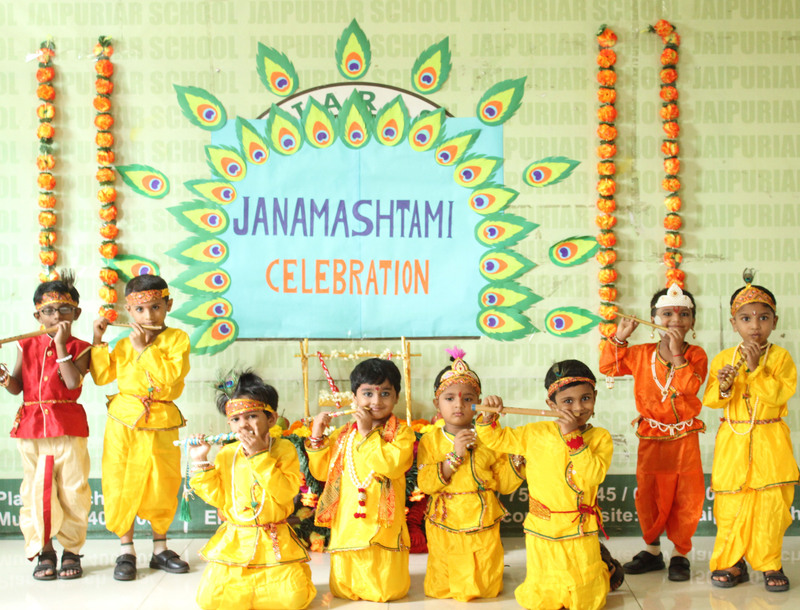 The atmosphere was brightened by the gracious presence of the tiny tots who were dressed exactly like Lord Krishna’s and Radha’s. Others were dressed as Gopis and Gopikas. 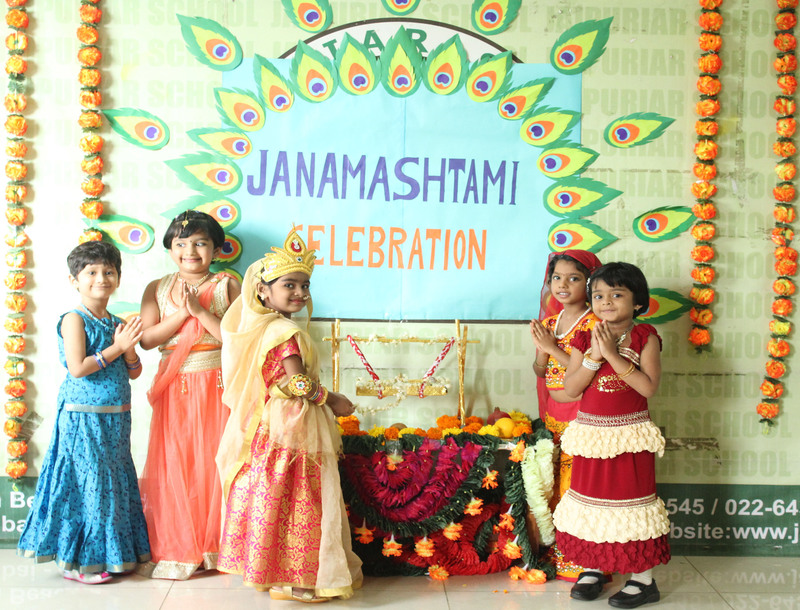 A video was shown on the birth of Lord Krishna was enacted by the teachers and few dance were performed by children. They all sang to the tunes of “ChotiChotiGayian “. Everybody showcased their love and affection by a small puja done by the children .In the end the main attraction was the DAHI HANDI where all the children danced and tried to break the pot. Everyone enjoyed a lot and the main objective behind the event was learning the historical events and the birth of lord Krishna.